A spin-off of its longer established Parisian sister, the PAD London Art + Design Fair returns to Mayfair in 2018 to bring together exceptional works of modern art, design, decorative arts, photography, jewellery and tribal art. Sixty eight prominent international galleries come together for the occasion, making it a fantastic place to discover museum quality pieces. Expect to find wall-lights by Lalique, 20th century art and collectible jewellery from French designer Lorenz Baumer, former artistic director for high jewellery at Louis Vuitton. The fair, which takes place at the same time as Frieze and Frieze Masters, helps to attract the world's most influential art buyers to London each October. What are the best dining options near PAD London Art + Design Fair London? PAD London Art + Design Fair gyms, sporting activities, health & beauty and fitness. The best pubs near London PAD London Art + Design Fair. 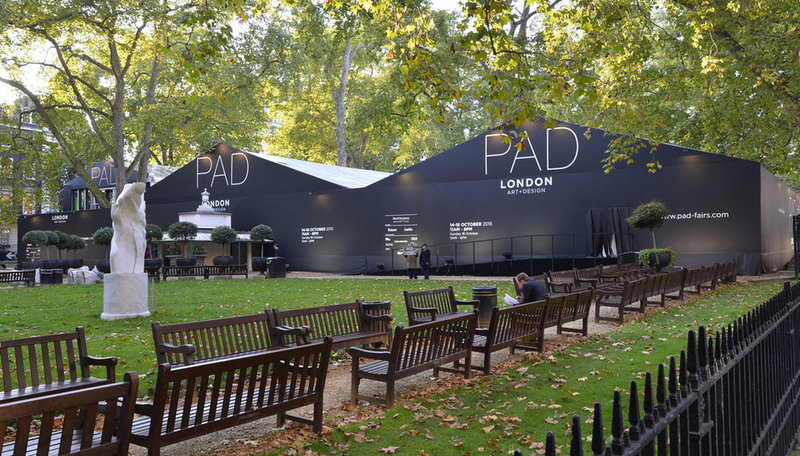 PAD London Art + Design Fair clubs, bars, cabaret nights, casinos and interesting nightlife. Where to have your meeting, conference, exhibition, private dining or training course near PAD London Art + Design Fair. From cheap budget hotels to luxury 5 star hotels see our special offers for Berkeley Square hotels, including Washington Mayfair Hotel from 76% off.